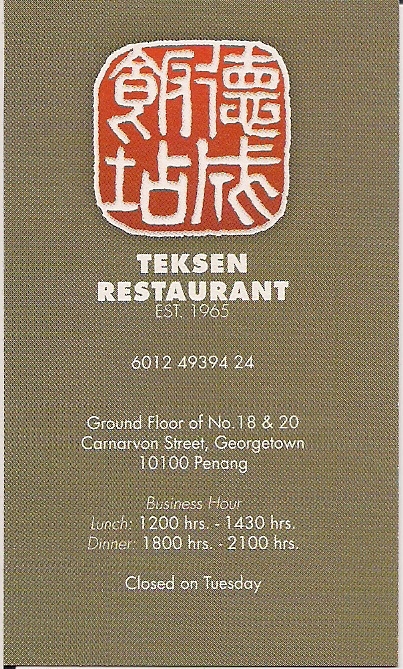 Formerly it was known as Kedai Makanan Teik Seng and now known as Teksen Restaurant. Last time it was operating at a shed beside a small alley which was leading to car parking lots. New Address #18 & 20 (Ground Floor), Carnarvon Street, Penang. Lately it has been shifted to a few doors away from the previous location. The new address is No. 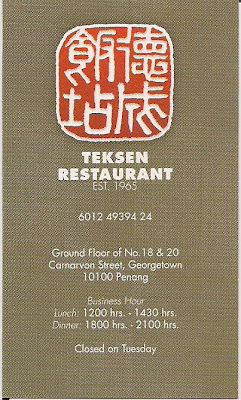 18 & 20, Carnarvon Street, 10100 Penang. Location Map of Teksen Restaurant, Penang. 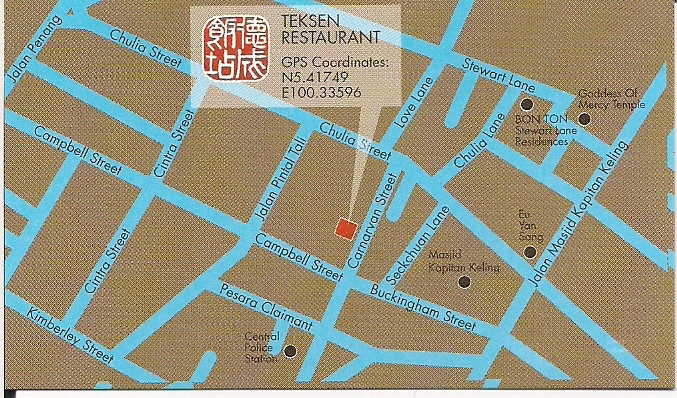 You will never disappoint about the taste when you eat out in there. One of the Signature Dishes.